Offering you a complete choice of products which include led 150 watt flood light, 100 watts flood light, 20watts led flood lights, energy saving led flood light, flood light and taba led flood lights. We are the leading manufacturer and supplier such as Light Emitting Diode Flood Light in Tamilnadu, Kerala, Pondicherry, Assam. Hyderabad, Delhi. Highly applicable for use in showrooms and shopping malls where the true color of the product is to be represented, offered down lights are designed by using high grade raw material and modern technology under the vigilance of adroit professionals. Our LED Flood Lights are available in variegated designs and specifications as per the demands of the clients. 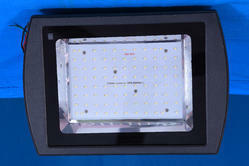 Apart from this, clients can avail these Flood Lights from us at nominal prices. 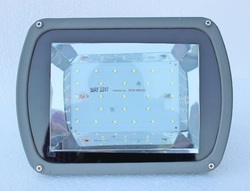 Our organization has gained recognition for providing premium quality Flood Lights.Highly applicable for use in showrooms and shopping malls where the true color of the product is to be represented, offered down lights are designed by using high grade raw material and modern technology under the vigilance of adroit professionals. Our LED Flood Lights are available in variegated designs and specifications as per the demands of the clients. 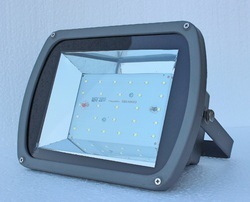 Apart from this, clients can avail these Flood Lights from us at nominal prices. 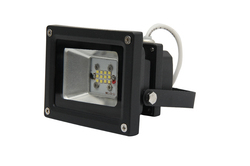 Our organization has gained recognition for providing premium qualityLED Flood Lights. Highly applicable for use in showrooms and shopping malls where the true color of the product is to be represented, offered down lights are designed by using high grade raw material and modern technology under the vigilance of adroit professionals. Our LED Flood Lights are available in variegated designs and specifications as per the demands of the clients. 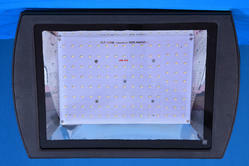 Apart from this, clients can avail these Flood Lights from us at nominal prices. We are the leading manufacturer and supplier such as Energy Saving LED Flood Light in Andhra Pradesh, Karnataka, Kerala, Pondicherry & TamilNadu Areas; Chennai, Coimbatore, Cuddalore, Dharmapuri, Dindigul, Erode, Kanchipuram, Kanyakumari, Karur, Krishnagiri, Madurai, Nagapattinam, Namakkal, Perambalur, Pudukottai, Ramanathapuram, Salem, Sivagangai, Thanjavur, Theni, Nilgiris, Thoothukudi, Trichy, Thirunelveli, Thiruvallur, Thiruvannamalai, Vellore, Villupuram, Virudhunagar, Ariyalur, Thirupur, Thiruvarur. 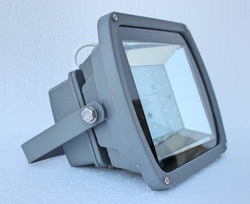 We are one of the leading manufacturer and supplier of a premium quality assortment of Flood Light. The offered lights are designed by our skilled professionals using premium quality raw material and the latest technology. Owing to their visual appeal, these lights are applicable for commercial applications as well. Furthermore, these lights are extensively demanded by the clients, due to their various features like easy installation, compact size and light weight. We are the leading manufacturer and supplier such as TABA LED Flood Lights in Andhra Pradesh, Karnataka, Kerala, Pondicherry & TamilNadu Areas; Chennai, Coimbatore, Cuddalore, Dharmapuri, Dindigul, Erode, Kanchipuram, Kanyakumari, Karur, Krishnagiri, Madurai, Nagapattinam, Namakkal, Perambalur, Pudukottai, Ramanathapuram, Salem, Sivagangai, Thanjavur, Theni, Nilgiris, Thoothukudi, Trichy, Thirunelveli, Thiruvallur, Thiruvannamalai, Vellore, Villupuram, Virudhunagar, Ariyalur, Thirupur, Thiruvarur.